Although asbestos is no longer mined in the U.S., more than 350 metric tons of the mineral was used nationwide in 2015. If this sounds shocking to you, you’re not alone. You see, what many American’s don’t know is, it is still legal to import asbestos into the country to produce chemicals used in manufacturing common items such as fertilizers, soaps, and alkaline batteries. It is also still legal to import, manufacture, process, and distribute a number of asbestos-containing products for use in the automotive and construction industries. Surprised? Well, it gets worse. Asbestos still remains in many buildings and homes built before the 1980s. When old buildings begin to deteriorate or if they are being demolished or rehabbed, asbestos fibers can break free and enter the air. This means, people may be breathing asbestos fibers in their workplace, at school, in their homes, or just about anywhere in their community—and not even know it. “If products containing asbestos are disturbed,” says the National Cancer Institute (NCI), “tiny asbestos fibers are released into the air.” When asbestos fibers are breathed in, “they may get trapped in the lungs and remain there for a long time. Over time, these fibers can accumulate and cause scarring and inflammation, which can affect breathing and lead to serious health problems.” One of the biggest is malignant mesothelioma. Malignant mesothelioma, often shortened to mesothelioma, is a cancer that starts in cells in the linings of certain parts of the body, especially in the linings of the chest or abdomen. Although less common, mesothelioma can start in the covering around the heart or in the covering layer of the testicles. Mesothelioma that affects the linings of the chest (pleural) mesothelioma) can cause chest pain under the rib cage, painful coughing, shortness of breath, and unusual lumps of tissue under the skin on your chest. Mesothelioma that affects the linings of the abdomen (peritoneal mesothelioma) can cause unexplained weight loss, abdominal pain, abdominal swelling, or lumps of tissue in the abdomen. Pericardial mesothelioma, which affects tissue that surrounds the heart, can cause signs and symptoms such as breathing difficulty and chest pains. Mesothelioma of tunica vaginalis, which affects tissue surrounding the testicles, may be first detected as swelling or a mass on a testicle. Though treatments are available, there is no cure for mesothelioma. Note that because it can take decades for the disease to develop, it is often discovered in its advanced stages. As a result, mesothelioma often worsens quickly at this point, leading to death. Based on mesothelioma deaths over the last 15 years, this exposure seems to happen more often in some states over others. Maine, Washington State, Alaska, Oregon, Montana, North Dakota, Wyoming, Minnesota, Wisconsin, Louisiana, West Virginia, Virginia, Pennsylvania, Virginia, New Jersey, Delaware, Massachusetts, Rhode Island, and New Hampshire have the highest mesothelioma death rates. Whether you live in a state that has a high number of mesothelioma deaths or a low one, the “overall number of deaths is nationally concerning,” says NPR. 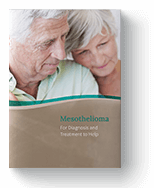 In Malignant Mesothelioma Mortality — United States, 1999–2015 CDC analysts wrote, “the continuing occurrence of malignant mesothelioma deaths underscores the need for maintaining asbestos exposure prevention efforts and for ongoing surveillance." Though it is clear that asbestos use is still legal (and very active) in the U.S., some say an all-out ban is within reach. In 2016, former President Barack Obama signed an update to the federal Toxic Substances Control Act (TSCA) into law, finally giving the EPA authority to ban asbestos use and importation. “The agency is moving full steam ahead,” said the Environmental Working Group (EWG) last year. However, new EPA head Scott Pruitt has anti-asbestos advocates worried. Though asbestos made the EPA’s list of top 10 most dangerous chemicals last November, many say the administrator still isn’t “convinced” of the dangers of asbestos. If you have been exposed to asbestos, see your doctor right away. Though there is no cure for mesothelioma, early detection could increase treatment options and improve outcomes. Ambroz, Jillian S. "Just When You Thought Asbestos Was Going Away Forever." DCReport.org. DCReport, n.d. Web. 27 Sept. 2017. "Asbestos Exposure and Cancer Risk." National Cancer Institute (NCI). U.S. Department of Health and Human Services, National Institutes of Health (NIH), n.d. Web. 27 Sept. 2017. "EPA Names First Chemicals for Review Under New TSCA Legislation." EPA. Environmental Protection Agency (EPA), 29 Nov. 2016. Web. 27 Sept. 2017. Formulzs, Alex. "EPA Nominee Pruitt Refused to Promise Asbestos Ban." EWG. Environmental Working Group (EWG), 31 Jan. 2017. Web. 20 Sept. 2017. Hersher, Rebecca. "Asbestos Deaths Remain A Public Health Concern, CDC Finds." NPR. NPR: National Public Radio, 11 Apr. 2017. Web. 27 Sept. 2017. Jimison, Robert. "Asbestos Exposure Is Still Making People Sick." CNN. Cable News Network. Turner Broadcasting System, Inc., 03 Mar. 2017. Web. 20 Sept. 2017. "Malignant Mesothelioma." American Cancer Society. American Cancer Society, Inc., 2017. Web. 27 Sept. 2017. "Malignant Mesothelioma Mortality — United States, 1999–2015." Centers for Disease Control and Prevention (CDC) - Morbidity and Mortality Weekly Report (MMWR). Centers for Disease Control and Prevention (CDC), 01 Aug. 2017. Web. 27 Sept. 2017. "Mesothelioma Symptoms." Mayo Clinic. Mayo Foundation for Medical Education and Research, 23 Oct. 2015. Web. 27 Sept. 2017. "Morbidity and Mortality Weekly Report (MMWR)." Centers for Disease Control and Prevention. Centers for Disease Control and Prevention, 01 Aug. 2017. Web. 27 Sept. 2017.